I am passionate about travel, along with my family and photography, and when I’m not traveling, I enjoy reading. I especially enjoy reading books that take place in locations I’ve visited. They allow me to relive the adventures I encountered in those destinations, and such was the case with Len Camarda’s The Seventh Treasure set in Spain. The Seventh Treasure follows the story of Secret Service agent Gene Cerone, who travels to Granada, Spain to investigate the mysterious circumstances surrounding his sister’s death. Turns out her death was no accident and Cerone, with help from Lieutenant Mercedes Garcia, uncovers a hidden conspiracy that dates back to the time of the Moors. 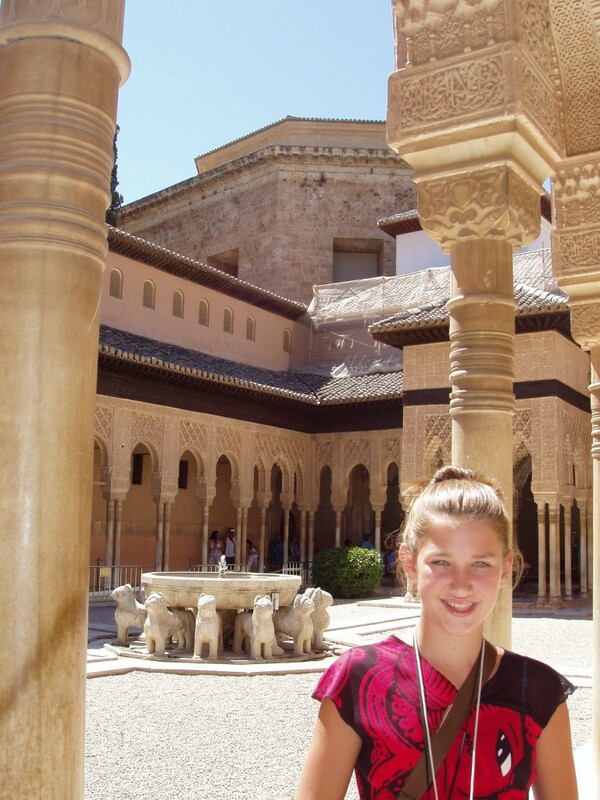 Although I recently toured Spain’s Balearic Islands, I visited Granada back in 2003. 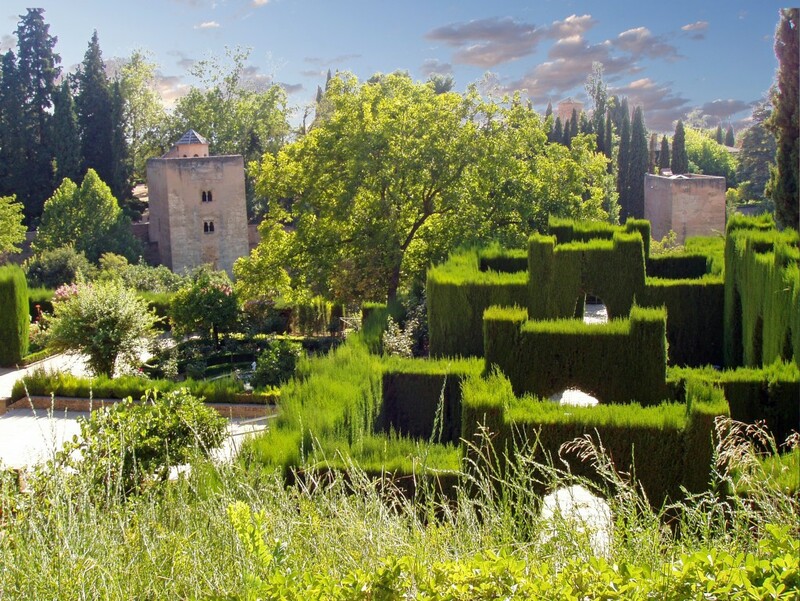 Still, I vividly remember the Alhambra as a massive palace complex, home Spanish Muslims as well as Isabel and Ferdinand. The buildings were unassuming from the outside, yet ornately geometric and beautiful on the inside. The gardens and fountains were particularly unusual and lovely, plus a cooling respite from the summer heat. Anyway, Camarda’s book spends a lot of time in and around the Alhambra. 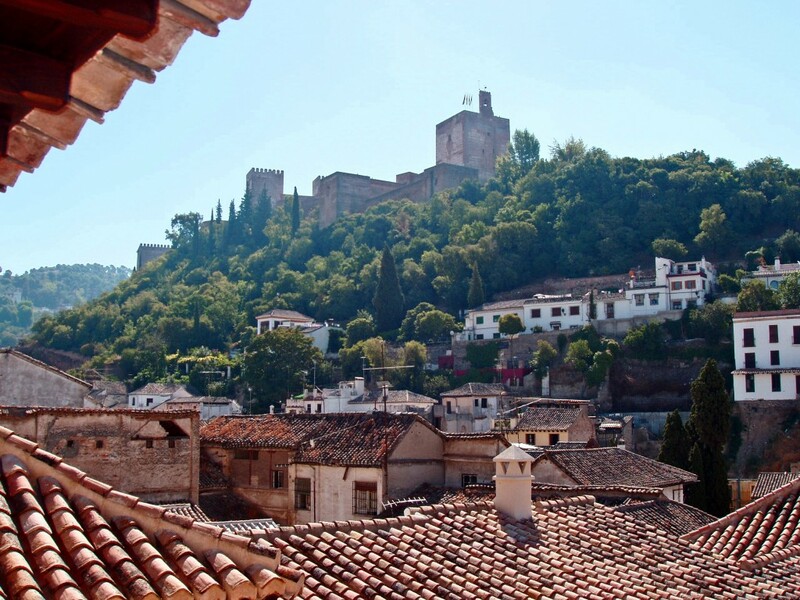 Looking up at the Alhambra from a hotel in Granada. I’ve read Dan Browne’s books because I enjoy the way he entwines mystery with historical facts. Len Camarda’s follows a similar path in this, his first novel, using the storyline from the Tales of the Arabian Nights. His writing is descriptive, he keeps the plot moving, and involves politics (in a similar fashion to Tom Clancy) and uses plausible methods to uncover the mystery. If you like historical thrillers or are just looking for a good read, I suggest Len Camarda’s The Seventh Treasure — and, of course, a trip to Spain! Disclosure: The Seventh Treasure was sent to me for review, but if I’d come across it in the bookstore I would have purchased it. I can honestly recommend it.